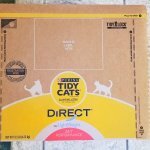 Is the iPrimio cat litter mat a good choice? 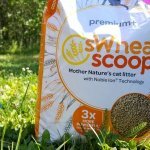 We had the opportunity to try out this litter mat, testing its effectiveness, ease of use, and quality. At first, I wasn’t sure if I needed a cat litter mat. For years I’ve been going back and forth on the litter mat question. A cat litter mat didn’t seem necessary, but the image of a mat cutting down on my cleanup and catching all the mess was really appealing. I procrastinate, though—and a litter mat didn’t make it to the top of my priority list. Until recently. Sometimes I need to be reminded to take care of the little things. That reminder is now sitting under the litter box. Seriously, I would have saved myself so much litter grief if I had taken the five minutes to order a litter mat years ago. I don’t really mind scooping out the litter box. The odor’s not that bad, either. But you know what does bother me? The stuff outside the litter box that I can’t seem to remember to sweep up every day. I used to be really good about sweeping up stray litter, but as time went on I’ve become more lax about it and it certainly doesn’t happen every day as it should. It’s no fun—as I’m sure you know, stray litter granules + bare feet = ew. And I can’t forget to mention the other mess that can get right outside the litter box. Does anyone else have cats that can sometimes go number 1 too close to the side of the box… and it just goes over the side and onto the floor? The mess was gritty, gross, and I kept forgetting to vacuum every day. Honestly, the litter box mess was stressing me out. Everything changed when we got the opportunity to try out a cat litter mat. 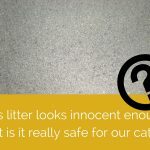 When iPrimio reached out to us to ask if we’d like to review the iPrimio Cat Litter Trapper EZ Clean Mat, we were already familiar with the litter mat. 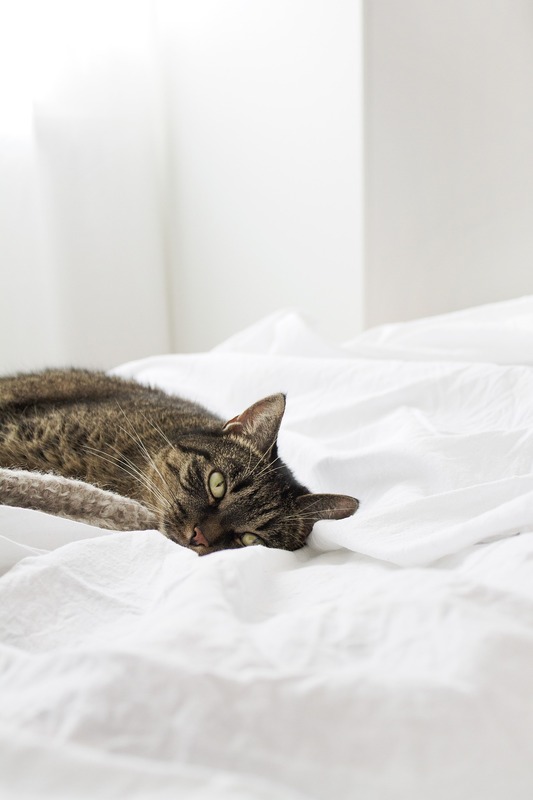 We had researched cat litter mats in the past and knew the iPrimio mat was well-received by users and considered one of the best cat litter mats available. We agreed to receive a free litter mat in exchange for an honest review. The litter mat is shipped flat, not rolled, so it comes in a big flat box. The box is really light, but it sure wasn’t about to fit in our P.O. Box. I appreciated that the mat was shipped flat because one common complaint from litter mat reviewers is the presence of lasting wrinkles in their litter mats. Little things like that can be really annoying. The first thing that impressed me when I removed the iPrimio litter mat from the box was that it’s big. 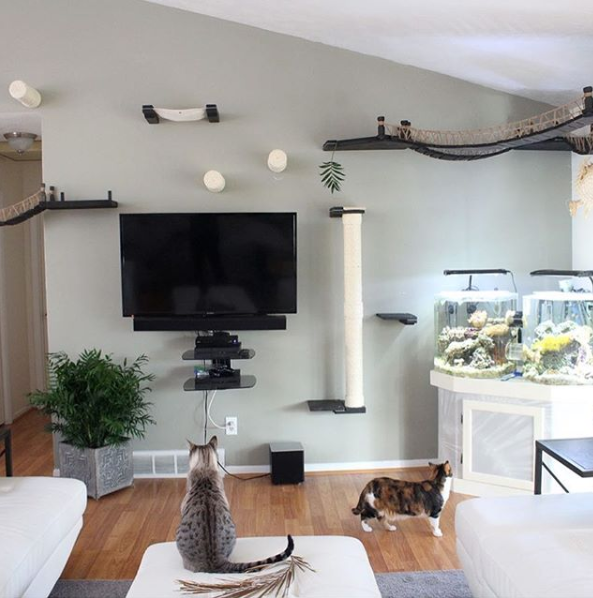 It is an ideally sized mat to go under a large litter box or for cats who love to toss litter out of their boxes. A good cat litter mat must be large enough to house the litter box and still include a few inches of protection around the sides of the box. You could fit two medium conventionally-sized litter boxes on this thing. That’s big enough even for you big Rubbermaid litter box users, right? 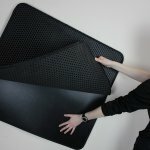 Let’s take a closer look at the iPrimio litter mat’s design. The mat has two layers. The first layer is made of foam material in an open honeycomb pattern. 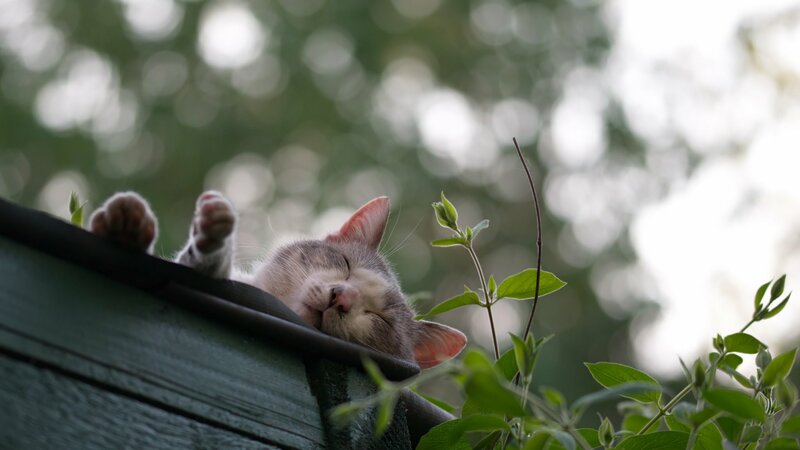 Any stray litter that your cat tosses outside of the litter box will be caught in the holes and settle down on the second layer instead of hanging out on the floor where you’ll see it and step on it. 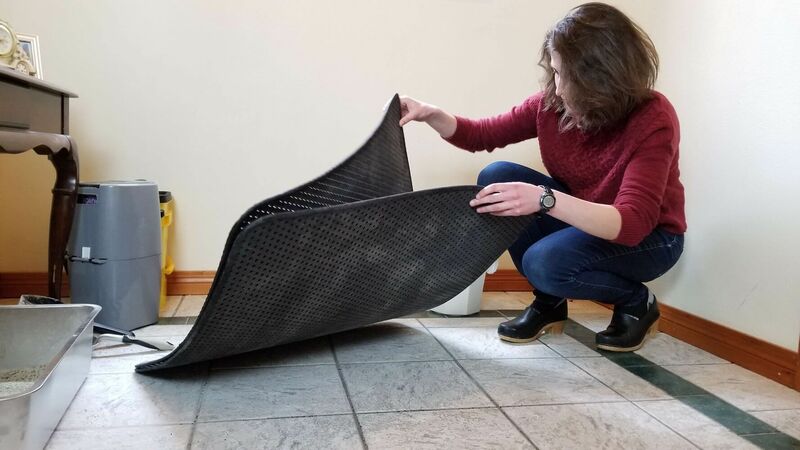 In theory, the honeycomb pattern will also separate your cat’s paw pads when they walk on it, releasing the litter from their paws and stopping them from tracking it around the house. Forest and Wessie, however, like to leap out of the litter box and don’t really spend much time walking on the mat, even though it’s so big. The bottom layer of the mat features a waterproof plastic film that repels urine and odors. 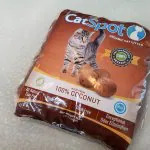 If your cat frequently goes just outside the box, you can place a puppy pad in between the two layers to absorb the liquid. The two layers are attached on one side so that you can easily dump out the captured litter and clean the bottom layer. The mat feels like it is made of sturdy materials and is well-designed. How did the iPrimio litter mat work? Let’s say that the iPrimio litter mat sold me on litter mats. I don’t want to go back to that extra mess on the floor. It catches most of the litter that our cats toss over the side of the box—certainly not all, our cats are vigorous diggers—but most. I’m stepping in way less gritty stray litter. Just yesterday I noticed a little puddle on the mat from a too-close-to-the-edge litter box use. I’m glad that puddle is on the easy to clean mat and not the floor. The only issue I had with the iPrimio litter mat was with dumping out the captured litter. It’s supposed to be easy and convenient—and perhaps it is, once you develop the right technique. For me, though, litter-dumping was not as easy as expected. I tried to bend the litter mat into a tube to send the litter into the trash. Because of the mat’s stiff material and large size, dumping was a little awkward and unwieldy. Maybe I’ll get better at dumping out the litter with a little more practice or larger trash can. Our conclusion—is the iPrimio litter mat worth it? The iPrimio litter mat does its job really well. I was flustered about the mess around the litter box, and the iPrimio litter has given me a lot of peace of mind in that area. The mat does an awesome job of collecting most spilled litter and any small accidents over the edge of the box. Its non-porous texture makes it easy to clean, and I haven’t noticed it collecting odors. 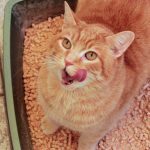 The mat’s large size allows you to use a larger litter box, such as a Rubbermaid container or Litter Robot. It catches more tossed and spilled litter than smaller mats would. 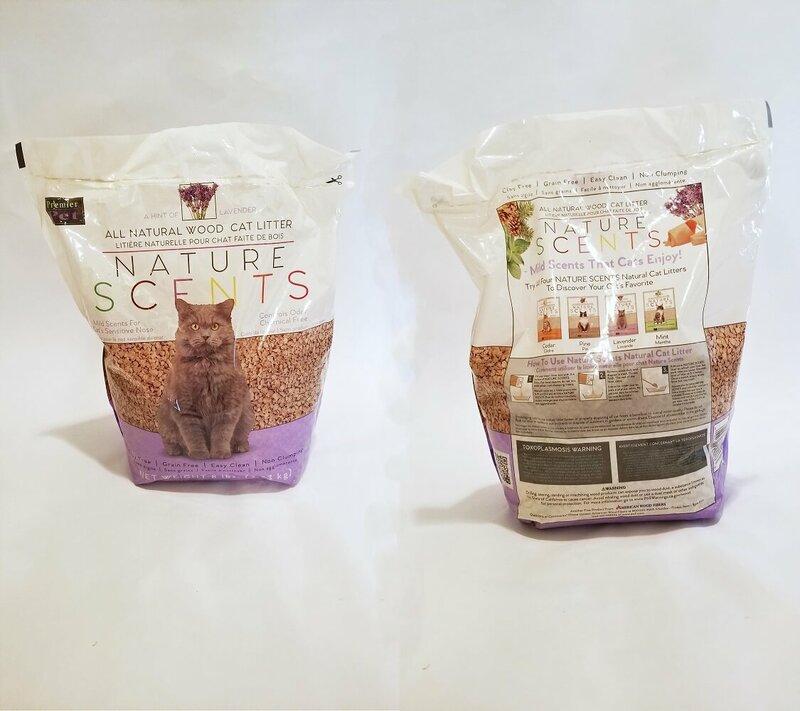 We only tested the iPrimio litter mat with small-grained clay litter, but I don’t see any reason it wouldn’t work with most other types of cat litter. For me, the iPrimio litter mat is definitely worth it. So far it has saved me a lot of clean up time and I worry a lot less about my floor and accidents over the litter box edge. At $39.95 on Chewy, the iPrimio litter mat is more expensive than many other options. If the mat fits your budget, however, the iPrimio does have features that set it apart from other mats. 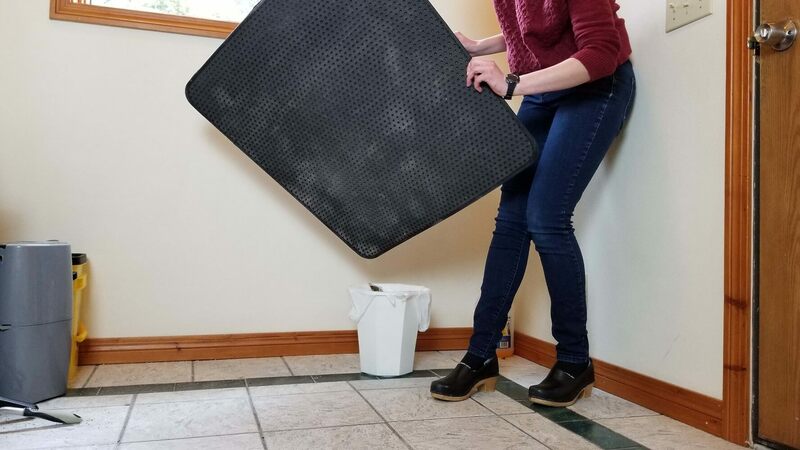 If you’re looking for a jumbo-sized cat litter mat that’s easy-to-clean and ready for big messes, the iPrimio litter mat is an excellent choice. It’s sturdy, well-made, and has a functional design that I really like. 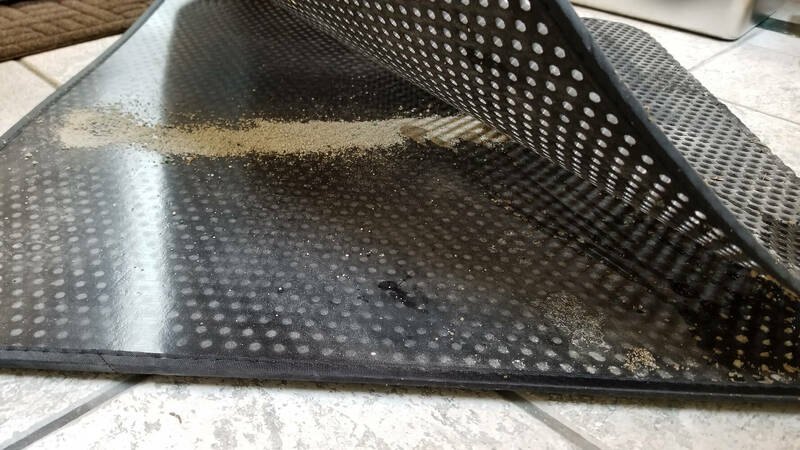 Where can I buy the iPrimio cat litter mat? Some of our links are affiliate links and Wildernesscat will receive a percentage of the sale. 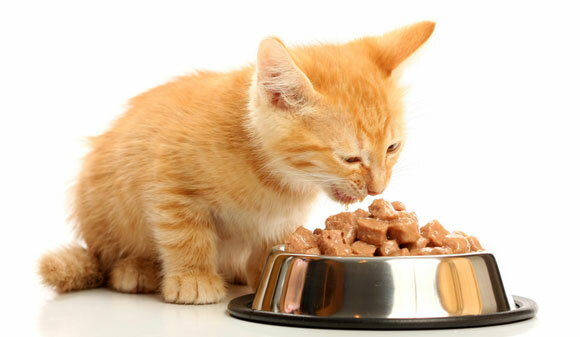 It doesn’t cost any extra but helps us to continue sharing the radical cat parenting message. Thank you for your support! The iPrimio Cat Litter Trapper is available online from Amazon and Chewy.com. 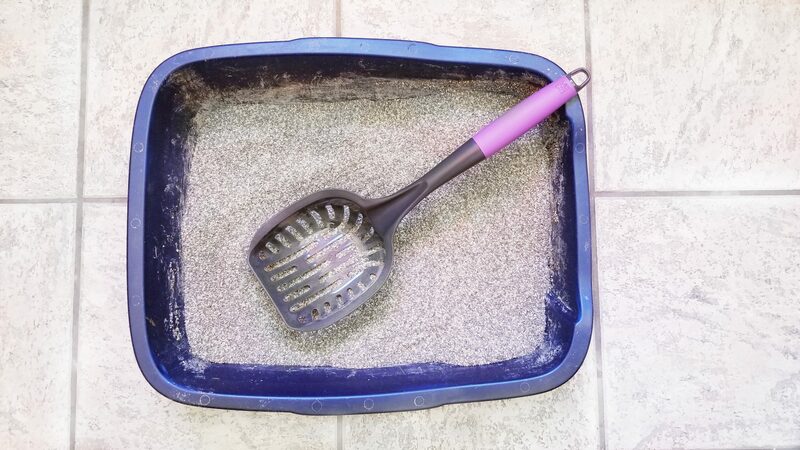 Do you use a cat litter mat? Are you in the same camp as I was, not sure whether or not a cat litter mat is really necessary? Let us know in the comments if you use a litter mat or not, and your favorite tricks to keep the litter box mess at a minimum! 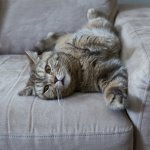 ← NomNomNow Pet Microbiome Test Kit Review: What’s in Wessie’s Gut?